Finding the right place in LA to raise a family can be very difficult. Not to mention how hard is moving with kids to Los Angeles. It can be a very hard task, so with our tips for finding safe neighborhoods to raise a family in Los Angeles, you will have stress-free moving. Parents moving to LA have a lot on their mind, especially which neighborhood is safe to call it home. The ideal neighborhoods to raise a family in Los Angeles have friendly neighbors, minimal crime, nearby employment opportunities, and good education systems. Hiring reliable LA moving company can be your first step to your new home. Second, you need to know things about Los Angeles before you come here with your children. You need to know where is the best place in La to raise a family. So, we bring you list of the safe neighborhoods to raise a family in Los Angeles. First on the list of safe neighborhoods to raise a family in Los Angeles in Boyle Heights. Here you can find many education opportunities with a population less than 100,000. Boyle Heights offers you many public and private schools, so you can decide in which school you want your children to attend. Boyle Heights is a popular neighborhood for young working-class families. In Boyle Heights, you can enjoy the historical architecture. And what is the most important, here you can buy everything on the lower-than-average prices! The cost of living in Boyle Heights is lower than the state average. So, here you can buy your first home in LA or rent for very small price. So, if you decide to raise a family in Boyle Heights you will have unique living experience. Miracle Mile is a great solution for families who want to live in a safe neighborhood in Los Angeles. Here you can save on living expenses. Also, Miracle Mile is near to downtown so it means you’ll have less of a distance to commute each day. In Miracle Mile, you can enjoy with your family in great education entertainment visiting Miracle Mile’s “Museum Row”, Los Angeles County Museum of Art, Craft and Folk Art Museum, and the George C. Page Museum. Here you can find smaller space for less money. Miracle Mile also provides homes with a nice yard for your children to play. Miracle Mile is small safe kid-friendly Los Angeles neighborhood. Here you can enjoy quiet nights so the whole family can get some rest. One of the safe neighborhoods to raise a family in Los Angeles in Sherman Oaks. It is located near Bel Air but isn’t so expensive. The average rent in Sherman Oaks is significantly less than the average rent in Bel Air. In Sherman Oaks, you can enjoy in restaurants accommodated for families. Also, here you can find a two-bedroom apartment for $2,590 per month. Because safety is a major priority for young families, Sherman Oaks is the right place for you and your family. In Sherman Oaks crimes are absolutely minimal. Near Sherman Oaks is North Hollywood so you can find many activities for the whole family. For example, you can visit with your kids magic shows at Boney Island or visit Universal Studios Hollywood. With very small population, less than 38,000, the Mar Vista neighborhood is a great place for raising a family. The best side of Mar Vista is its educated residents. Many residents of Mar Vista have a bachelor’s degree or higher. So, this is the great place for young, responsible adults who want employment options in sales, education, and business. The entire district of Mar Vista is less than three square miles in size. So, you have short distance driving for children schools and other activities. The best thing in Mar Vista is – crime almost non-exist. Mar Vista is the safest neighborhood to raise a family in LA. In Mar Vista you have plenty things to do and places to visit: basketball courts, hockey rink, gymnasium, tennis, soccer, and children’s play area. So, this is the right neighborhood for you to make new friends and children to mingle their neighbors. 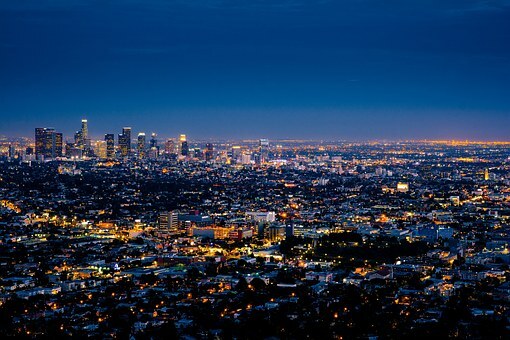 When you are moving to Los Angeles it can be very challenging because of the lifestyle and costs in LA. But, Winnetka can give you a safe place for raising your family with the lower cost of living than the state average. In Winnetka, many parents take advantage of the city-funded Winnetka Child Care Center, which supervises children ages 2-13. The ideal neighborhoods to raise a family in Los Angeles have friendly neighbors, minimal crime, nearby employment opportunities, and good education systems. Palms are a diverse residential area rich with apartments, duplexes, triplexes, and single-family homes. Living in Palms isn’t so expensive like in Bel Air and Beverly Hills. The average cost of living in Palms is 19.4% lower than the state average. Here you can find multicultural environment. So, your child can raise in the community of healthy mix of Asian, African American, and Latino families. Crime is minimal, that’s way Palms are on our list of safe neighborhoods to raise a family in Los Angeles. With a small population of educated adults, Playa del Ray is the great neighborhood for raising kids. This is primarily a residential area, so parents will likely need to drive or commute into another district for work. So, if you need to hire a babysitter you don’t need to worry because this LA neighborhood with very little crime is a safe place for your children. Do you want live in one of these Los Angeles neighborhoods? If so, pack your things and move to one of the safe neighborhoods to raise a family in Los Angeles. 0 responses on "Safe neighborhoods to raise a family in Los Angeles"